Grey Biotechnology refers to balancing the environmental by removal of contaminants using microorganisms and also plants for disposal of different substances. It deals with the protection of fauna and flora from human activities using bio-remedial technology to remove pollutants and various other methods. Over the centuries, we humans have been utilizing nature for all our needs and then adding the remaining waste to the Earth itself. Moreover, with the introduction of many artificial pieces of stuff for human’s use in the last century, the waste product has been accumulated on the Earth’s surface like never before. Each year, around 140 million tons of synthetic polymers are produced. Their global impact in organisms at several trophic levels can clearly be seen. The bottles we throw takes centuries to decay and the papers take decades. Similarly, human waste is accounting water pollution to a great extent. There are billions of tons of waste product that needs proper management. And the only way that could be done effectively is by using the micro-organism to decay them and convert them to the useful form. This is what Grey technology is all about. Applications of microorganisms (protozoa bacteria, fungi, algae, and virus) in municipal waste management were discovered in the last decades. The recent techniques also bring the concept of Plastic eating bacteria. Scientists have recently discovered a bacteria strain that can literally eat the plastic and are working to make it work faster. Further, microorganisms are also used for soil treatment, oil spillage, and radioactive contamination. Grey biotechnology is the coolest and a recent technique to control pollution by waste management. Here are a few examples were Grey biotechnology have been proved to be effective. Fungal species as Aureobasidium pullulans and Fusarium solani sp. degrade Polyurethane. Further, the scientist could successfully isolate a PUR degrading enzyme from Pseudomonas chlororaphis. It was discovered that bacterium Pseudomonas putida degrades Polyvinyl chloride (PVC) and actinomycete Rhodococcus rubber degrades polystyrene. In 2016, a team from Japan tested various bacteria from a bottle recycling plant. They found that the bacteria named Ideonella sakaiensis 201-F6 can digest the plastic which is used to make single-use drinks bottles. The component used in plastic named polyethylene terephthalate (PET) is digested by secreting an enzyme (a protein that speeds chemical reactions) known as PETase. PETase splits some chemical bonds (esters) in PET to convert it in the smaller molecules. The bacterial then using the carbon in it as a food source.As compared to other bacteria, Ideonella sakaiensis 201-F6’s enzyme has evolved specifically for doing the job faster and more efficient. Almost all of the developed countries and most of the developing countries use micro-organism for human waste management. The majority of oxidative sewage treatment technique relies on the use of a large range of microorganisms to oxidize the organic constituents that are not amenable to sedimentation or flotation. Anaerobic microorganisms are used to minimize sludge solids with the production of gases (methane gas in highest amount) and a sterile mineralized residue. Bacteria can be utilized for the degradation of solid kitchen waste as organic manure or compost. Specific bacteria namely Bacillus sp., Pseudomonas a Xanthomonas spp., sp. does the fastest degradation in 15% molasses treatment. Such decomposed garbage can be used as organic manure for the agricultural field. 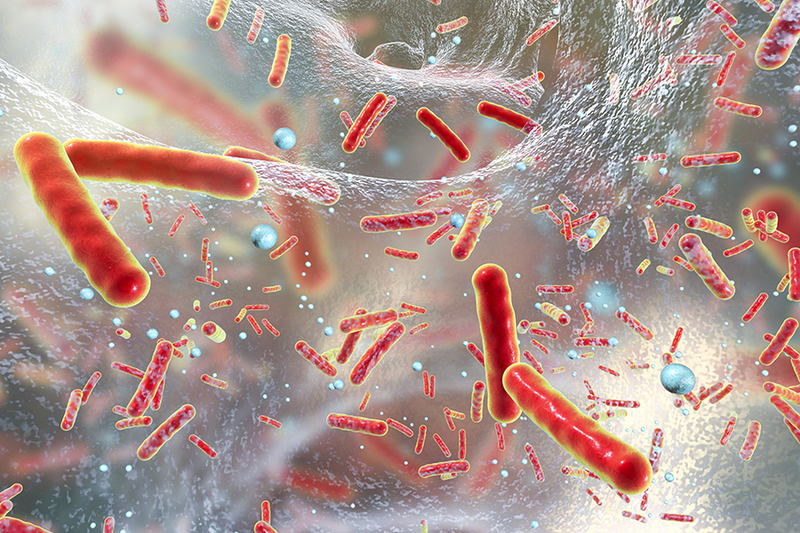 Many researchers have concluded that useful bacteria can be isolated from the surrounding for friendly bioconversion of solid organic waste. Science is making a new invention each day. But most of these inventions have been challenging and disturbing nature. Balancing the environment is the only way humanity can exist in this beautiful world for forever. And that is why grey biotechnology exists. Plastic eating bacterial represents the future of Grey biotechnology. If it could be possible, we could still be using the plastic products for another century without adding the pile in dumping sites. Along with the disposal of waste, it is important to make the use of energy that micro-organism produces during the action for industries process.